Does 20 minutes of boring wordpress tasks in 10 seconds. Do you know what the most BORING part about launching a new Wordpress site is? It’s doing all those menial tasks that need to be done every single time you setup a wordpress site..
All these menial tasks can really add up and they can take upto 20 minutes per site for you to setup. ...and it took me 22 minutes and 40 seconds to complete all these tasks one by one. Wordpress has way too many places you have to goto and set these things up you know! I really wished if there was something SIMPLER that could do this in a few seconds for me. And that’s why we created WP Freshstart 3.0! 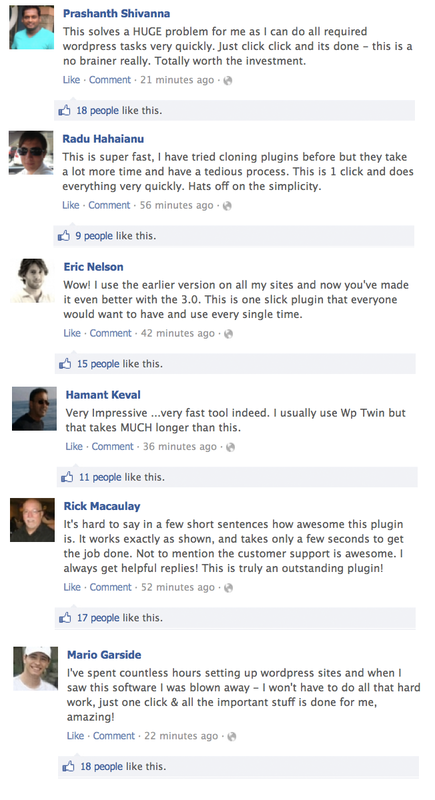 YES - Now You Can Set Up Your WP Site In Just 10 Seconds! 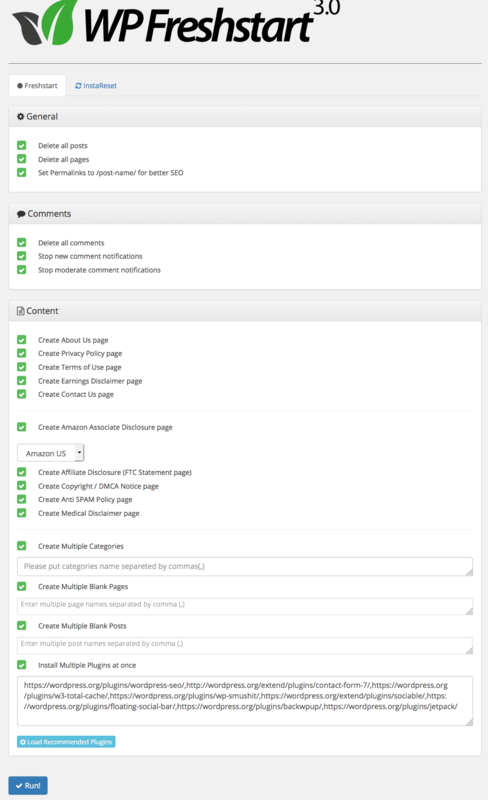 Customers have asked for this for a long time and we finally ADDED THIS feature inside WP Freshstart. 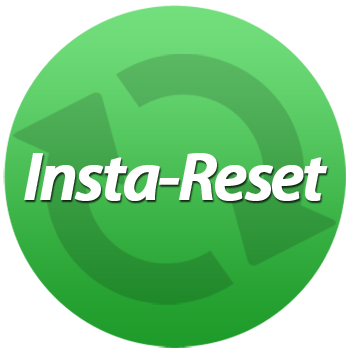 Step 1 – Go to InstaReset inside WP Freshstart 3.0. 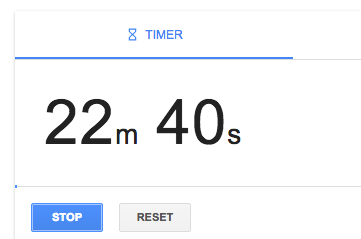 That will do all your 20 minutes of menial WP tasks in 10 seconds! I have been building wordpress sites since 2002 and it takes me 20 minutes per site every single time. 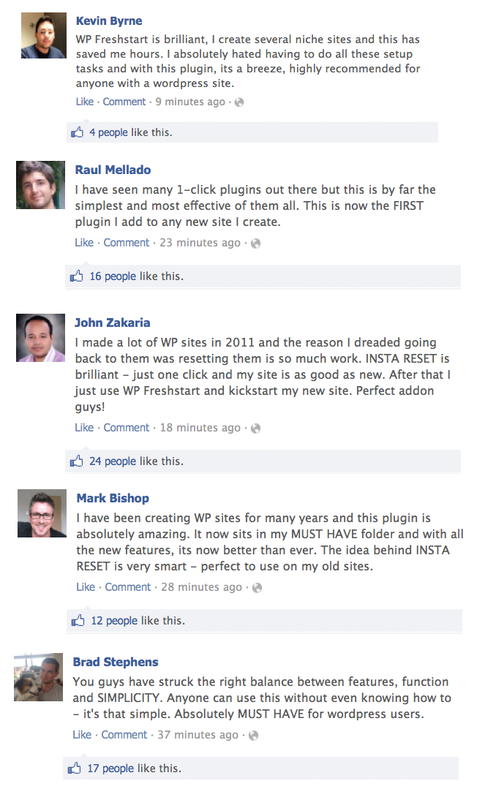 But WP Freshstart does it all in just 10 SECONDS. OUR RISK-FREE 30 DAY MONEY BACK GUARANTEE! 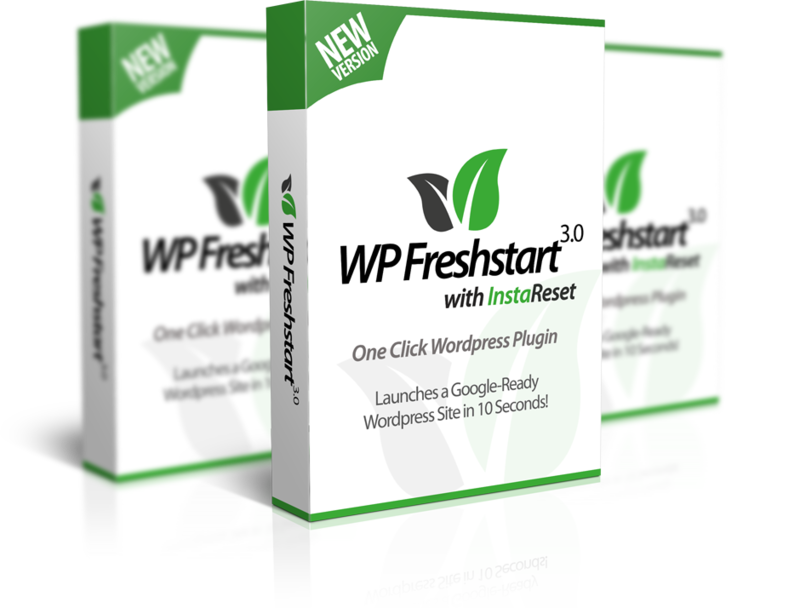 If you have any technical issues while using the WP Freshstart 3.0 plugin and we fail to help you resolve the issue, we’ll give you 100% of your money back. 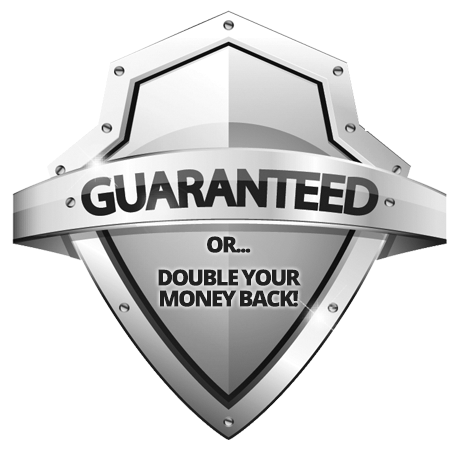 Our moneyback guarantee applies to all technical issues – other than that, all sales are final. As long as you provide a valid reason for requesting a refund, we'll consider it. Our team has a 99%proven record of solving customer problems and helping you through any issues they have so you’re extremely safe & your purchase is protected. Yes! We built this so that anyone, even newbies could use this. Literally all you have to do is select a few options and then click ONE button and WpFreshstart 3.0 will go to work for you. And just in case you run into ANY problems, we have step by step training videos to guide you every step of the way. 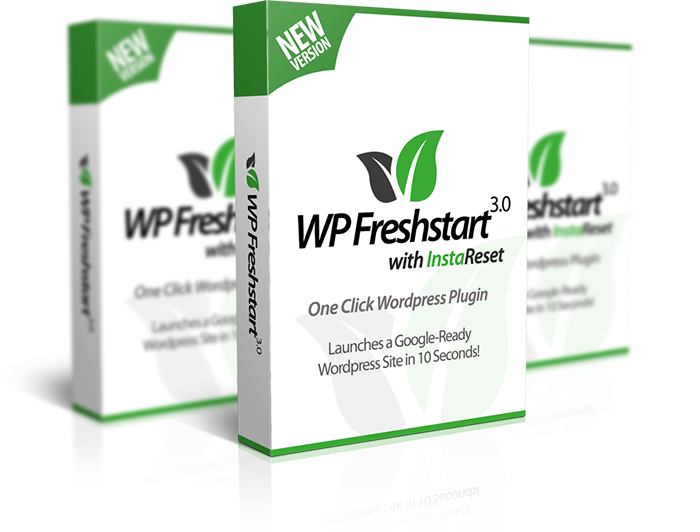 WpFreshstart 3.0 works for ANY type of site: Amazon niche sites, Facebook sites, offline/local business sites, Adsense sites, affiliate review sites, sites for your own products, etc.